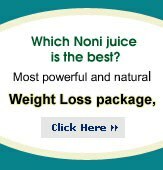 Nonijuice.us dream is and always will be, to help people in need. We love to help people in need and has made a commitment to help poor, sick, kids and weaker sections of the society. We hope to make a positive difference in the lives of millions across the world. We are extremely pleased to support Make-A-Wish Foundation®. We actively donate and request you to donate whatever you can afford to Make-A-Wish Foundation. Only through the hard work and commitment of more than 25,000 volunteers around the world is the Make-A-Wish Foundation able to continue granting more wishes to children with life-threatening illnesses each year. The mission of the Make-A-Wish Foundation® is to grant the wishes of children with life-threatening illnesses to enrich the human experience with hope, strength, and joy. Children must be referred to the Foundation and determined to be medically eligible for a wish prior to their 18th birthday by their physician. The child's treating physician makes the final determination of whether a child's illness qualifies him or her for a wish. Visit Make-A-Wish Foundation® for more information to see how you can live an intentional life with positive attitude by helping others. The ultimate goal for Nonijuice.us is to donate millions of dollars to various non-profit organizations each and every year. We do sell what we believe in. We offer only quality nutritional products that comes with money back guarantee. Any purchase by you will contribute towards a positive cause of Make-A-Wish Foundation®. We wish you great health, peace and hope.